My pattern is one quilt, two ways. The top version is made with a solid background and all Bonnie and Camille fabrics in red, green and a few grey. The version below is a scrappier version made with all Cotton + Steel fabrics. I indulged myself by ordering the latest releases for my backing fabrics. The new Cotton + Steel with the little reindeer and a new green dot from Bonnie + Camille’s “Little Ruby” line. The binding below is from “Little Ruby” as well. Wow what a great line-up of pattern designers! Staying tuned. My "Tinsel" leftovers may Just find their way into a Being Charming is a Plus quilt. thanks For the two variations. Your quilts look wonderful! 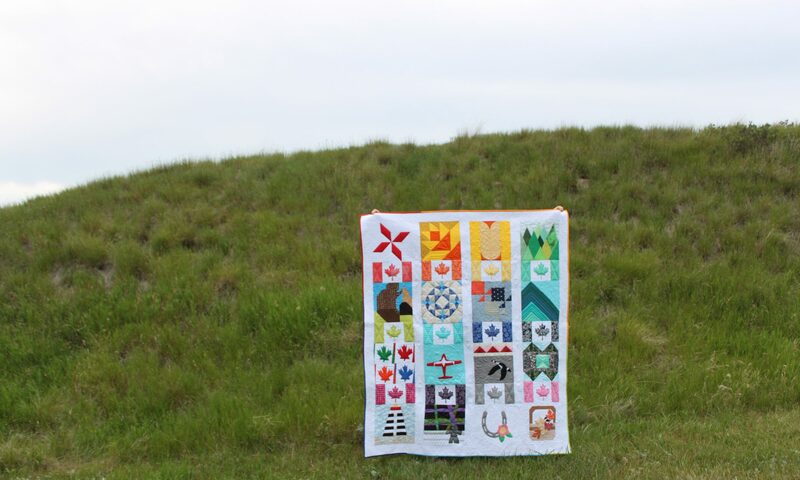 I really like the wavy quilting that you did for the C&S quilt….such a great stitch! I love the C&S Reindeer fabric too :).